Are there certain things your family just hates doing? For us, it’s mopping. My husband will do just about anything to avoid mopping, making it my job when it has to be done. While I don’t hate it as much as him, there are other things I would prefer doing, especially when I’m on my hands and knees scrubbing at tough spots. Even worse, the floors are slick or sticky and nasty with some floor cleaners, leaving us unsure at time if the floors really are any better. When I heard that many businesses use steamers to clean their floors, I thought this sounded very interesting and a must for our family. As I was searching, I came across the HAAN Multiforce Pro SS25 – an innovative floor steamer that cleans, scrubs, and buffs. To say the last, I was even more excited when I found out I was going to be able to review one of these units. One thing for certain, our dog friendly household would put it to the test! Tired of scrubbing and mopping your floors? If so, we think you will love the HAAN Multiforce Pro. This hi-tech floor steamer is designed to make cleaning effortless by cleaning, scrubbing and buffing your floors both inside the home and out. With the units CR-Motion technology, it enhances the natural push and pull motion by adding a powerful scrubbing motion to the cleaning process. With the 2 pads going at a rate of 850 motions a minute, you are soon left with beautiful floors that are naturally clean without the use of chemicals. Best of all, this powerful steam cleaner kills 99.9% of common household germs, bacteria, and dust mites, giving you a clean home without much effort! With the Multiforce Pro, cleaning hard floors and carpets isn’t just effortless, but fun! When my HAAN Multiforce Pro arrived, I couldn’t wait to get it out of the box. You see, our floors are always in need of mopping. Between Reya and our other pets, it feels like our floors are always in need of cleaning, and with our limited time, we barely have the time to clean at all, never mind scrub the floors. What likely surprised me the most about the Multiforce Pro was just how easy it was to set up. I had the whole thing together and ready to go in less than 5 minutes. The hardest part was taking out the removable water tank, filling it, and putting it back in the unit. Everything really was super simple to set up. Since it comes with pads and attachments for different floor types, it is important to read the manual and see when to use different attachments. It does have a few little quirks, like for example, you can’t have the CR- motion enabled when you have the carpet attachment on or you run the risk of ruining the unit. As for cleaning, this is where this floor steamer is truly amazing. Everything is designed to make cleaning easy. With 20 steam jets, re-usable microfiber cloths, and a swivel head that can reach just about everything, cleaning is super easy. We tested the unit on our hardwood floors, as well as the kitchen vinyl, and both times the unit did a fantastic job cleaning the floors. Not only did they shine, but it was able to get up a sticky, paper-covered spot on the floor that we had been trying to get up for months! 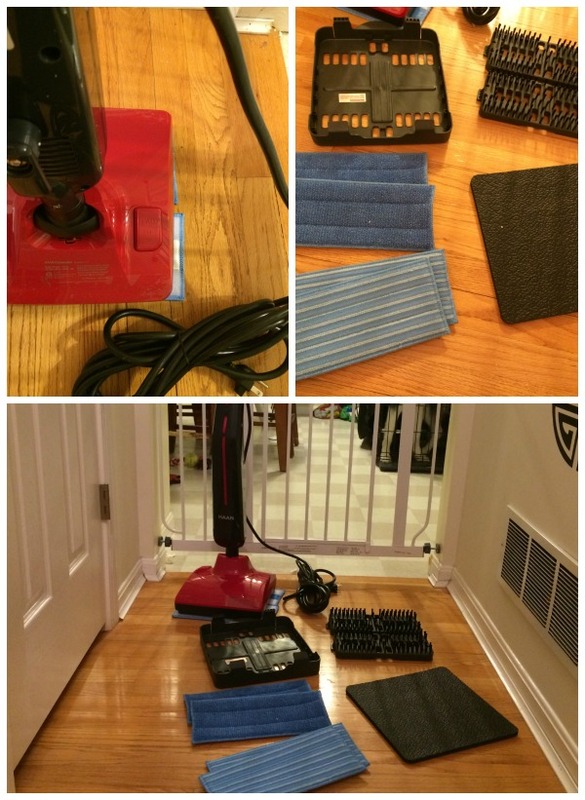 This steam cleaner truly is amazing and I am likely going to be throwing away my mop after using this unit. Based on my own experience, I am happy to give the HAAN Multiforce Pro SS25 an A+ rating and I very highly recommend it to all of my readers! Would you like to purchase this awesome steamer for your own home? You can purchase the HAAN Multiforce Pro SS25 on the HAAN website or Amazon.com for $239.95. Once you have tried this awesome unit, you will see why we love it! This sounds like a really nice steamer and I can see the difference on the floors. Thank you for your candid review. I would love to try something like this. if only I could find the time! WITH 5 KIDS, TWO DOGS AND ENGINEERED HARDWOOD FLOORS IN THE HOUSE, THIS WOULD BE HANDY! I have a Haan Single pad steamer. I think it is the best I have ever used. This looks like a really good steamer. I’ve never used one and am looking for one and think this would be a contender. Thanks for the review and the pictures! I could really use one of these. We have cheap flooring in the kitchen and it picks up so much dirt. A mop alone doesn’t cut it. I hate mopping too! That has to be one of the worse chores. It seems like a sponge mop just pushes dirt around. Just because I don’t have to use any chemicals to clean my floors with has me liking the Haan Multiforce Pro. I have pets and children in my home that crawl on the floor and I don’t want them being unsafe due to some chemical that I used cleaning my floors but I also want my floors clean. I mean really clean and this would do the job. Thanks for sharing this review. I purchased a Bissell steam mop a couple of years ago and the filter kept clogging up. After about 3 months it quit working altogether. I purchased a new filter but it didn’t fix the problem. Since it was still under warranty I contacted the company. They told me to take it to a certified repair shop and have it fixed…I would have to pay the labor which was more than what I paid for the machine. Do you know if you can use tap water with the Multiforce Pro or do you have to use distilled water? Have you had any trouble with it clogging up or not producing steam? I would love this steam cleaner to sanitize both my bathrooms. This is a revolutionary idea. I live in the woods and My husband and kids are always tracking something in and this looks like it would be easier to clean it up with. Thanks for the info I have never heard of this product before this review. This looks absolutely awesome and I have several different types of flooring in my home this would work great on! Thank you for the great review and information! I would love to get one like this for my son. He has back problems and has trouble bending down to clean his floors. I like the idea of cleaning with steam. Oh this looks like the powerhouse of steamers. I have a shark but it doesn’t do any scrubbing and just glides over the floor with steam. This one looks like it really gets in there with the motion. Thanks for the review. I bet this works a lot better then my swiffer and I would save a lot of money not having to buy the refills. This is a great review. We have new floors and this would be so handy to use. I think this is something EVERY home could benefit from for both cosmetic and health reasons. How nice would spring cleaning become with this product!!!??!! Very pleased with this review! What a great review. I need one of these bad. The grout in the tiled floors looks pretty bad. It sounds like this might be just what I need to conquer that job. This looks like an awesome steamer/mop! It would be great for all of our non-carpeted flooring, we only have one pet (a dog) but some days he leaves so much of a messy trail that it looks like we have several dogs. THIS IS A REALLY NICE REVIEW.I WOULD NEED THIS ON MY FLOORSAND I NEED TO STEAM CLEAN MY FURNITURE.. I don’t like using water and soap to clean the floors as it always feels like they are not rinsed well or they end up with a film. The steamer here looks like it would really sanitize and clean my floors. So excited to check it out. Thanks. I hope it works ok on laminate. I will have to research that. Omg i have always herd and seen these on tv and in the store. But i never believed the hype of them. But reading a real live person that has used it and seeing the same scenario. Of my everyday. Living use it and pleased i would now go get one. Amazing how your floors look brand new and the less effort you put in to clean them with out the hassle of the mopping steps. Great way to sanitize as well. Knowing that the floor looks clean but also is clean is #1for me. I have a lot fo pet stains around my house. I couold really use this on many areas of the house. This is so awesome , I love using less and saw that in a comment above you can use tap water which is a huge benefit !!!!! I can’t wait to try this out . I like the steam cleaner with the pointed release of steam. It is the lightest tool you will find on the market and very useful. You will be so pleased with the results of just using water and save on cleaning liquids. I give it 5 stars because I am sold on it! That actually does sound like fun to use! I’d love to give this a try as it sounds like such a greener way to clean. Much better than the chemical laden mops and disposable pads I’m phasing out of my cleaning routine. I can see that the Haan Multiforce Pro did the job in your kitchen. You can definitely see the difference in the before and after. I will be adding this to my cleaning wishlist. I have never used a steam cleaner like this one, but boy do I want to!! I hear really great things about these types of steamers. Thanks for the review it was quite insightful. This product would definitely help around the house, I might just have to convince my fiancé to get one! Now this I would love. I love the fact that it steam cleans which is supposed to be way more effective! Great review. My home could use this!! I’ve wanted a floor steamer for AGES, and now that I lost not one but both of my mops in my cross-country move (saved them out to finish cleaning the rental, my partner and I both thinking that the other mop had made it into the truck….) I’m going to be desperate soon. I’d much rather have this than a mop, just like you said. 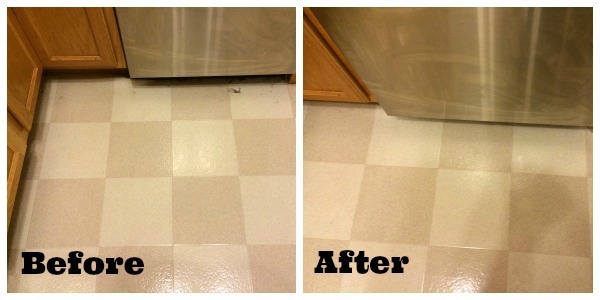 Do you have any tile in your house, with grout, and if so, could you take photos of the before and after, please? I really like HAAN products. I especially like that this will clean your floors without chemicals. Twenty steam jets sounds like some serious cleaning power! I would love to try the HAAN Steam Cleaner. It looks like an amazing product. I think it would save me time and money in the long run. I love the difference in the pictures above. i love this!! 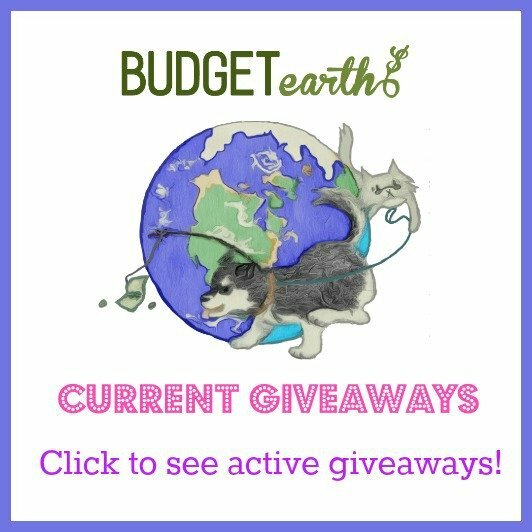 this would be oerfect for our home considering we have toddlers dogs a chinchilla and another baby on the way so yea this would be perfect for our home dynamic thanks for the review! This sounds like a very good steamer, I hate mopping, my lower back hurts when I mop. This would be great for me. I have 2 dogs that tend to track in dirt all the time. With tiles in our living room and kitchen, I can see that this product would do us a lot of good. I NEED this!!! I avoid doing the floors at all cost!! Our landlord wants to put linoleum flooring in the kitchen (vs the carpet) and I told her NO! At first when we moved in, I was like who would put carpet in a kitchen…but now I love it since I remember having to clean my mom’s kitchen floor when I was little. I love my carpet because I hate cleaning linoleum flooring! I despise doing the bathroom floor but I know that I have to do that. This would help me out sooo much in the bathroom and if my landlord decides to change the flooring in the kitchen. This is so innovative. It would be great to clean up. I love that it’s powerful yet chemical-less. This looks like a really nice steamer and I love that it sanitizes. I have 2 dogs and cat so our tile can get pretty dirty. I love that it has re-usable microfiber cloths. Saves money. I know this would do a great job on our bathroom tiles. I have the same kind of floors. I really would like to have one of these because I’m having trouble keeping them clean. Love the review, good job! This is really nice. It would come in handy with us as kids, and pets track in dirt constantly! I’d love this for the kitchen an bathrooms. I have a team mop know, but it doesn’t scrub so there are some spills that it doesn’t clean up very well. I have heard that it really does work good. I have never used one. OOO, very nice, I have a steam mop, but it doesn’t have a lot of power behind it. This definatly looks like an upgrade! I like that this steam cleaner kills 99.9% of household germs, bacteria and dust mites and without the use of harmful chemicals. The microfiber cloths are reusable and can be tossed into the washing machine. Our family needs this badly. 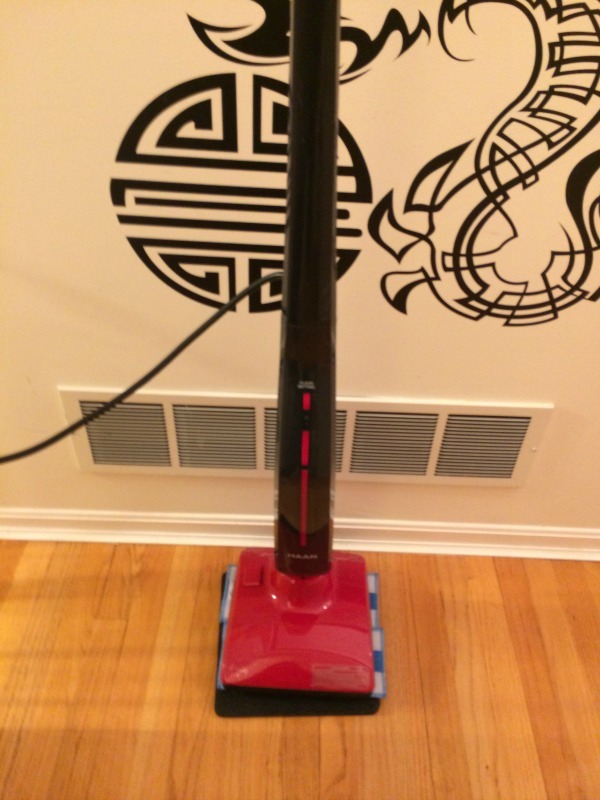 We have a different type of steam mop and it doesn’t cover as wide of an area as this one. This looks like a great product. This is great! I have 3 humans and 2 dogs in the house and it would help clean all our different floors. We have wood, tile and carpet and it sounds like I only need one machine to do it all! Thanks for the informative review. I didn’t realize these steamers worked without using chemicals. I would love that since I am allergic to some cleaners and I worry about my grandchildren being around various cleaners. I am all about easy and if this is easy to use then it is my kind of steam cleaner.